Jack, Sally, and the ghoulish residents of Halloween Town gather by Spiral Hill to greet you into their eerie world! Jim Shore's Carved by Heart design is a Nightmare fan's dream come true and is the perfect, spooky addition to your collection! 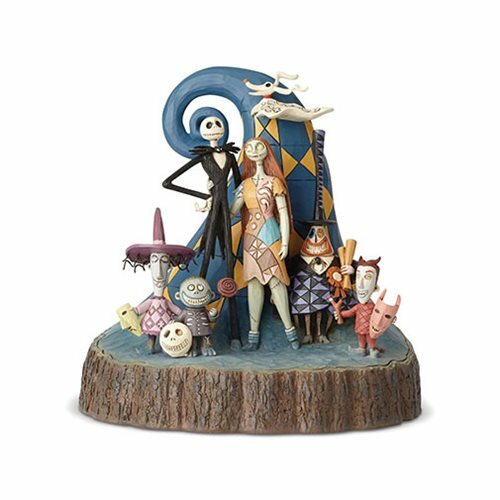 The Disney Traditions Nightmare Before Christmas Carved By Heart What a Wonderful Nightmare Statue by Jim Shore is made of stone resin. Measures about 8-inches tall x 7 1/2-inches long x 7-inches wide.